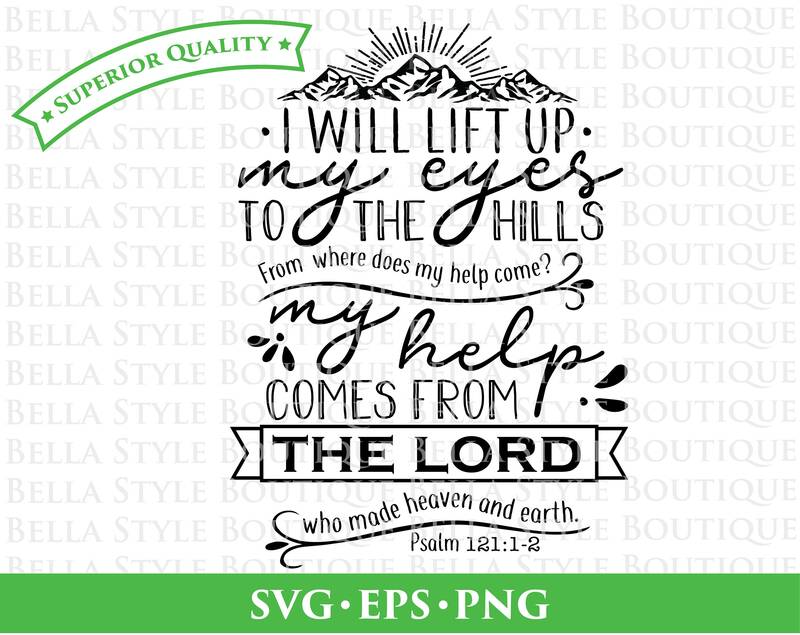 Psalm 121 Look to the Hills Help Comes from the Lord Christian Scripture Chalkboard SVG PNG & EPS Instant Download. Digital Vector Cut File for Electronic Cutting Machines (Cricut, Silhouette, etc) used in making vinyl decals, wood signs, paper crafting, and iron-on. Beautiful file. detailed and easy to weed. Thank you!